It was a blustery winter day in January of 2001 when I began working as the executive director of an adoption agency in Northern Virginia. George W. Bush had just taken office. Our location in Fairfax was just a few miles, but a rather daunting commute from the White House. I did not realize that day that the administration would have a significant impact on the more than 100,000 children awaiting adoption out of the, at times chaotic, foster care system in our country. Many are teens who long for a family of their own. One young lady in Charlottesville explained to me that she “just wanted a parent at her graduation like the other kids have.” It would be my privilege a few years later to serve as a volunteer on AdoptUSkids and assist in promoting the adoption of older children. I threw off my heavy winter coat in our small cozy office, poured a large mug of coffee and set about the myriad of tasks of inspiring and leading a staff of thirty social workers spread out in three, soon to be four, offices in Virginia. Late in the afternoon of my second day, Joan, an experienced social worker, came into my office clearly concerned. She had a “walk in” client who was near delivery in her ninth month. At age forty two, she was carrying a baby known to have Down’s syndrome. In addition, she already had several other children at home to care for. The father unfortunately had left her and did not want to be involved in supporting his family. She was over-whelmed. After several counseling sessions, she was certain that an adoption plan was best for the baby that was coming, and for her current family. Could we find a family willing to accept her baby with Down’s she wondered? Joan and I met to discuss the ramifications of receiving the entrustment for this baby, the challenge of even finding a family, and the negative financial impact on the agency. I must admit that knowing that our agency would not be able to charge for the services involved in this particular adoption was a serious consideration. Once we took legal responsibility, we would need to cover any of the child’s addition medical costs at our own expense. If we chose to help this one infant, would we be sacrificing our time and resources that could be used to assist multiple others? These practical considerations troubled me as a new director. I knew how tight our budget was. My board had made it clear when they hired me that they expected me to raise sufficient funds to keep us in the black. If we can’t find a family for this special infant, then what happens? Days or possibly months of “cradle care” were expensive. 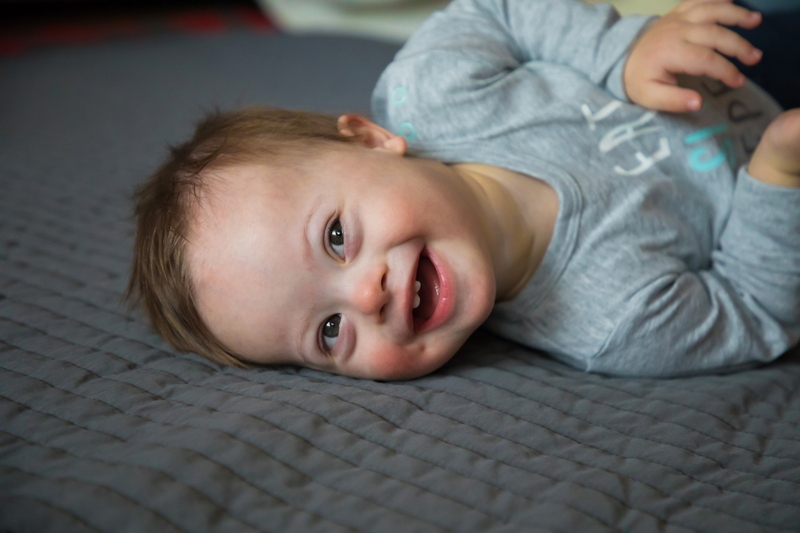 Many agencies simply turn away birth mothers who are expecting babies with Down’s syndrome, birth defects, HIV positive status, and other special needs. Sadly, most couples want perfect children. Joan and I are both women of serious prayer. We have regularly encountered the wondrous intervention and provision of the Lord. As we prayed, a spiritual courage and conviction to do what is right came to us both. The Lord would provide a family. We were both at peace about the decision to say yes to this birth mother. We instructed our staff to go ahead and prepare to take entrustments and receive this baby into our care when he arrived. Three days later, on the very day that precious boy came into this world, I happened to answer a “routine” call from a couple interested in adoption. We chatted for several minutes and I asked the woman to tell me about her family and their hopes for adoption. I connected her with one of our social workers who began the home study and approval process that day! Afterwards, I bowed my head and sat in silence. The tears flowing down my cheeks fell onto the note pad on the desk. Our God loves every child that comes into this world. I felt I had just heard in the silence the very heartbeat of God. Over the years, we placed children who were HIV positive, a baby born with hydro-encephala and others who would be in this world but a short time. I have rocked and comforted a cocaine-addicted newborn in the agony of withdrawal. From teens to tiny fragile infants of any color, all deserve to be valued. Our society takes life lightly. We deceive ourselves by thinking we have the right to determine who should be born, as well as who should die. We measure the quality of life with a crooked yard stick. Does a baby with intellectual impairment have anything to offer, we wonder. Tragically, we turn a blind eye to the reality that each child receives the breathe of life from the Creator. Every baby deserves to be cherished every moment that they live until they return to the loving arms of He who created them. We are indeed made in God’s image. The full ramifications of that truth are indeed profound. Constance Miller was the Executive Director of Bethany Christian Services Virginia, an adoption agency. With the support of the John Templeton Foundation, she co-authored The Faith Factor: an Annotated Bibliography of Clinical Research on Spiritual Subjects, Matthews, Larson, and Barry. She was married to the late Reverend David Paul Miller, a hospice Chaplain. Did God Send Me The Answer To My Prayer Via Boat?